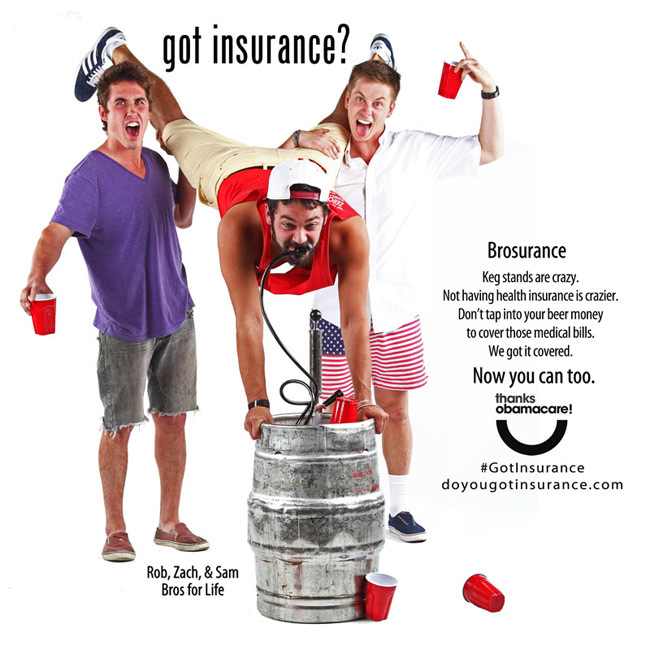 The success of Obamacare is dependent on the young, healthy frat boys!? 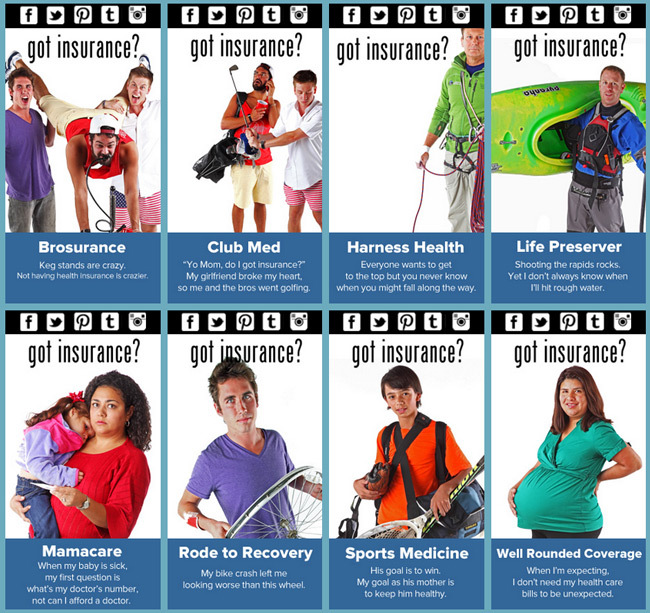 The Colorado Consumer Health Initiative (CCHI) and ProgressNow Colorado Education are promoting “Brosurance” as part of their Got Insurance? ad campaign. Keg stands are crazy. Not having health insurance is crazier. Don’t tap into your beer money to cover those medical bills. We got it cover. Those options include paying upwards of $1,000 for health care that they’re unlike to use or paying a $95 fine, which Congress made unenforceable by liens, forfeiture, or prosecution. Even a frat boy can do that math.